Domestic violence can be delivered as a physical, emotional, verbal, sexual or psychological attack. In addition to these various fashions, acts of domestic violence can be initiated on both partners, meaning both the male and female of a relationship, and while the abuse of females is talked about more, men can also be abused both physically and emotionally. Sadly, those who abuse emotionally justify their behavior to themselves and others by stating "they don't hit women, or they don't hit men". But the abuse is no less real and is sometimes more lasting. 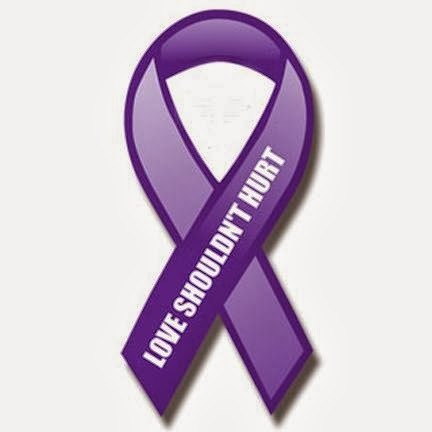 October is Domestic Violence Awareness Month, so if you know of someone who is being hurt emotionally or physically, don't remain silent. There are many places in need of clothing, shoes, toys, makeup, books, watches and other household items. Please take a moment to find a local shelter in your area, and make a donation, if you can. Those who are being mistreated desperately need our help to start a new life filled with love and laughter.